Meet Seymour Bernstein: a virtuoso pianist, veteran New Yorker, and true original who gave up a successful concert career to teach music. In this wonderfully warm, witty, and intimate tribute from his friend, Ethan Hawke, Seymour shares unforgettable stories from his remarkable life and eye-opening words of wisdom, as well as insightful reflections on art, creativity, and the search for fulfillment. 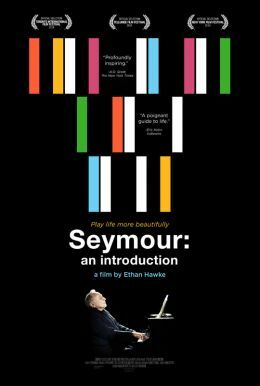 A “poignant guide to life” (Indiewire) and an engaging exploration on the dedication, perseverance, and fortitude essential to creating both art and a rewarding life, Seymour: An Introduction will leave audiences uplifted and inspired.